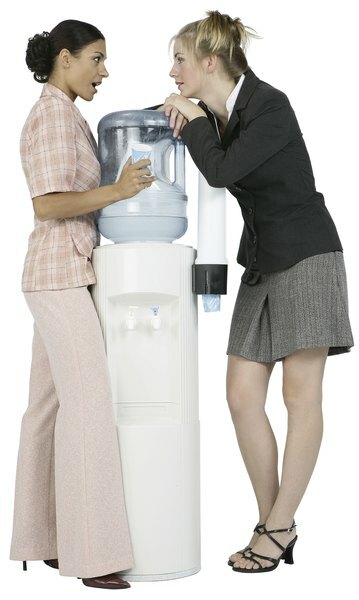 Water cooler gossip can chill an office atmosphere. Nothing saps workplace productivity like being bombarded with ghastly gossip from Saturday's soiree. Workplace drama inevitably creeps its way into all professions, but that doesn't mean it has to stay. Whether you are the boss of 20 or answering to 20 bosses, there are ways to drown out drama so everyone can breathe a sigh of relief. Drama often happens when people feel slighted or hurt. An apology goes a long way in stopping that drama from spreading. According to Dr. Pamela D. Straker, author of "Let Me Stop You Right There," employees who refuse to admit wrongdoings stand to gain hostility, passive resistance and lack of trust from staff and colleagues. "If employees quickly come to the conclusion that a mistake happened, an approach was inappropriate or an opinion was wrong, it is important to genuinely apologize. Most people will respect you more for having the humility to do so." Distinguishing lies from the truth can be difficult. If a co-worker is being maligned, for example, keep an open mind until you hear all points of view. 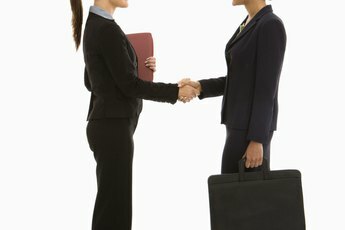 If you are in a management position, open the communication lines by talking to the accused person directly. Then rectify the situation with a meeting, if necessary, so the truth can be heard. Hearsay can cause unnecessary negative feelings among co-workers, and can be destructive to a person's career if not addressed properly. Don't be guilty by association. While it can be tempting to know about the latest workplace faux pas, allowing yourself to get caught up in caring about someone else's business is unproductive and unprofessional. Put out the vibe early on -- don't ask inappropriate questions, seem interested in gossip or even hang around gossipers -- and soon co-workers will take it elsewhere. In addition, you are less likely to be talked about if you refuse to gossip. Too much idle time leads to procrastination and unproductive employees -- not to mention the propensity for disturbing chit-chat between cubicles. According to Marlene Chism, author of "Stop Workplace Drama," it's important to have employees keep a visible to-do list, and for the boss to reward their success. Staying busy with projects and meaningful work that employees are proud of and accountable for keeps the focus on work rather than trivial office politics. Sometimes the office drama queen needs to be dethroned. "Most people who thrive on drama believe in their drama, and they think the problem is outside of themselves," explains Chism. But it only takes one person to talk with the perpetrator and set boundaries. According to Chism, you should own the part you played in letting them vent too often, and establish the fact that you can no longer take part in the drama. Sometimes this example is all that is needed to knock off a drama queen's crown. 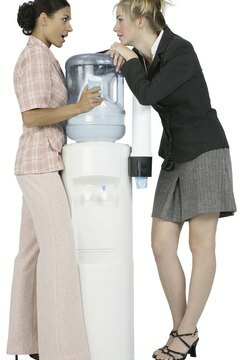 Whether you are in management or sharing a cubical, it helps to figure out the real issue behind gossip and drama. Saying out loud that Suzy needs to cut back on the cleavage when you are instead angry she captured clients that you could not, will just drag the drama deeper without getting to the real issue. Inventing falsehoods and backstabbing wastes time in solving what really has you upset. Arguing in a meeting about insignificant details not only wastes everyone's time, but makes the blood boil. Let the minor details slide as long as everyone agrees and understands the project goal. Rolling eyes about a client's impending deadline or requested revisions is unprofessional and disrespectful, and sets a bad example for others on the team. Drama ensues when groups waste time arguing about what can't be done instead of trying to make it happen. Nothing brings drama to the forefront faster than throwing an impossible deadline at overworked, stressed-out employees. Set realistic goals and deadlines for everyone on the team. If an employee feels set up for success, self-esteem rises and there's little room for drama. Let Me Stop You Right There; Pamela D. Straker, Ph.D.